As Katherine Allen has pointed out in her post, distillation was regarded as a powerful way of separating and purifying earthly matter, and was central to the alchemical pursuit of the philosophers’ stone. And, yes, the odd gallon of whisky was also a much-welcomed product. This view of distillation is reflected in the textual processes that charaterise the Western alchemical tradition. Beginning with twelfth-century translations of Arabic texts into Latin, scholars constantly excerpted, compiled, translated, and digested all available knowledge, identified what was useful, and then compounded it to suit different tastes and purposes. 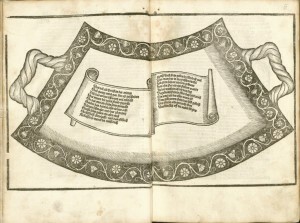 This double importance of distillation – techical and textual – is highlighted in the first distillation handbook ever printed, the Liber de arte distillandi de simplicibus, also known as the Small book of distillation, which was published in 1500 by the Alsatian surgeon and apothecary Hieronymus Brunschwig (c.1450–1512). While this book contains numerous recipes for distilled waters, it can also be seen as representing in itself a recipe for acquiring and presenting medical knowledge. Despite its Latin title, it was written in German, and quickly became a best seller, no doubt cashing in on the growing popularity of distilled medicinal waters. To teach his readers the art of distilling, Brunschwig drew on his wide reading (over three thousand books, according to him) and practical experience to concoct ingredients from different traditions of knowledge. Brunschwig was well-versed in the alchemical literature, which at the time mainly circulated in manuscript form. Publishing his book in print, Brunschwig introduces a broad public to an alchemical understanding of matter, and how it can be transformed and purified. In fact, the process of distillation itself is defined in these terms, as “nothing but to separate the subtle from the gross and the gross from the subtle, […] to make the physical more spiritual, [so that it] may more easily penetrate the human body with its secret powers and virtues” (SB 1509, fol. 6r.). This extraction of the useful from the superfluous is also an important process in vernacular medical literature, and Brunschwig extracts not only from alchemical sources, but also boils down the essence of the learned medical tradition. With reference to ancient textual authorities such as Galen and Dioscorides, he briefly explains the workings of the human body in terms of the four humours which govern an individual’s ‘complexion’, with diseases representing a deviation from this humoural balance. This can be readjusted by administering medicines distilled from plants, or even animals, with the appropriate qualities. This precarious balancing act means that a sound knowledge of medical ingredients was essential, which is why a large portion of the Small book is taken up by a herbal section. 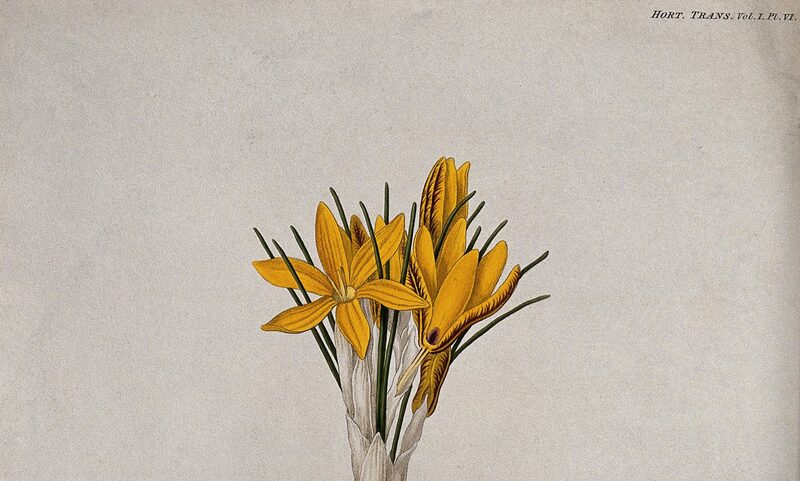 It offers some of the best botanical woodcuts produced at the time, paired with encyclopaedic entries listing each plant’s appearance, medicinal qualities, and the distillation process by which these might best be extracted. The third major source for Brunschwig’s distillation project, artisanry, has closer links with alchemy than one might at first suspect: as historian Pamela Smith has shown, early modern craftsmen subscribed to an alchemical worldview, and were confident that their personal observation and direct physical engagement with natural material was a reliable source of knowledge. Brunschwig shared this view: based on his own experience with distillation procedures, he is able to anticipate pitfalls (e.g. don’t let a heated glass vessel cool down too quickly, or it will crack! ), and to dispense practical advice on the quality and proper manipulation of different stills and vessels. This technical know-how boiled down into an easy-to-follow series of short chapters, which really starts from scratch. There is even a life-sized picture of a mould which should be used to shape the curved bricks needed for building a round furnace, and set in its centre, was a poem summarising the key points to remember. Brunschwig’s manual, then, not only contains valuable recipes for harnessing nature’s healing powers through distillation, it also represents in itself a recipe for the production of a best-selling and highly usable book: he compounds his knowledge of texts with his own experience and observation. He digests, extracts, and purifies his intellectual and technical ingredients, and where other compilers often produce turgid mixtures of jumbled-up recipes, Brunschwig manages to distill clear and useful knowledge from learned medical, alchemical and artisanal traditions. 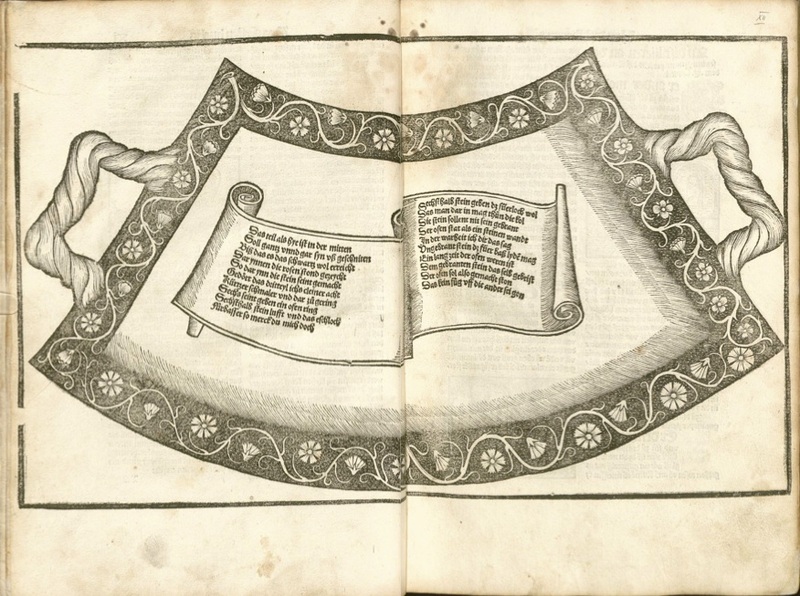 His example was followed by many early modern compilers of medical printed books, and the Small book itself went through an intriguing series of transformations in its various editions, including an English translation which appeared as early as 1527. But we certainly shouldn’t think that the story of textual digestion and excerption stops there: as Katherine Allen discussed, and as I have seen in the Small book, readers were assiduously annotating their copies. They highlighted what was most useful for them, added to the information, and cross-referenced entries, thus achieving another level of distilling textual knowledge. [1.] For more on humoral theory and the logic behind materia medica, see Lisa Smith’s post on “Medicinal Compounds, Efficacious in Every Case” and Alun Withey’s post on “‘Weird’ Remedies and the Problem of ‘Folklore‘”. [2.] P. Smith, The Body of the Artisan: Art and Experience in the Scientific Revolution (Chicago: University of Chicago Press, 2004); Idem., “In a Sixteenth-Century Goldsmith’s workshop”, in L. Roberts, S. Schaffer and P. Dear (eds. ), The Mindful Hand (Amsterdam: Royal Netherlands Academy of Arts and Sciences, 2007), pp. 33–57; Idem., “What is a Secret? Secrets and Craft Knowledge in Early Modern Europe”, in E. Leong and A. Rankin (eds.) Secrets and Knowledge in Medicine and Science, 1500–1800 (Farnham: Ashgate, 2007), pp. 47–66. Great post, Tillmann! The life-size print of the mould is so fascinating. I wonder how readers were expected to use it? hum… Did the English printers reproduce the image? Thanks Elaine! Well it looks like readers were expected to literally use the illustration, in its printed dimensions, as a blueprint for a mould. However, in the varying formats of subsequent editions, the size and shape of the illustration varies, which presumably would have resulted in precariously wonky furnaces! Laurence Andrewe, the translator and publisher of the English version, does include the picture, but the poem is replaced by a prose translation – he probably thought that an accurate rendition of the content was more important than the entertainment and mnemonic value of verse.